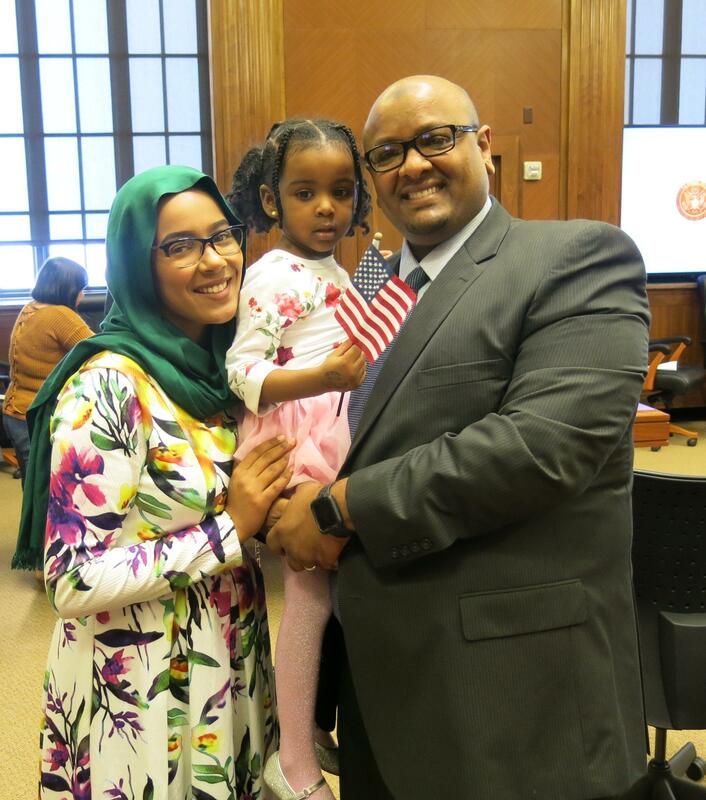 Tarig Hassan, with his wife and daughter, Alaa Saeed and Dannah Hassan. 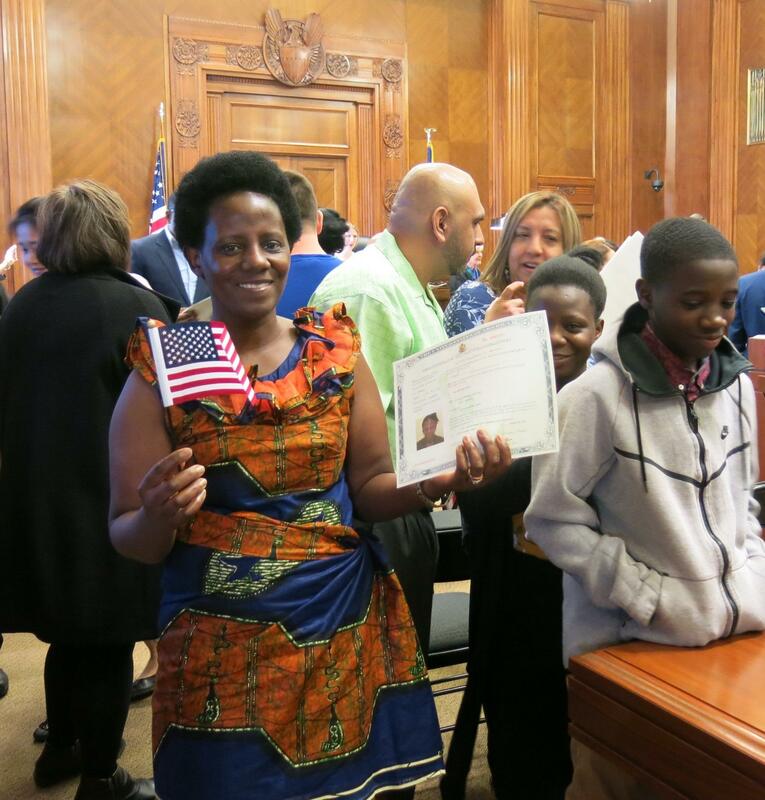 Waving small flags, and with their proud families looking on, 44 people have become US citizens. 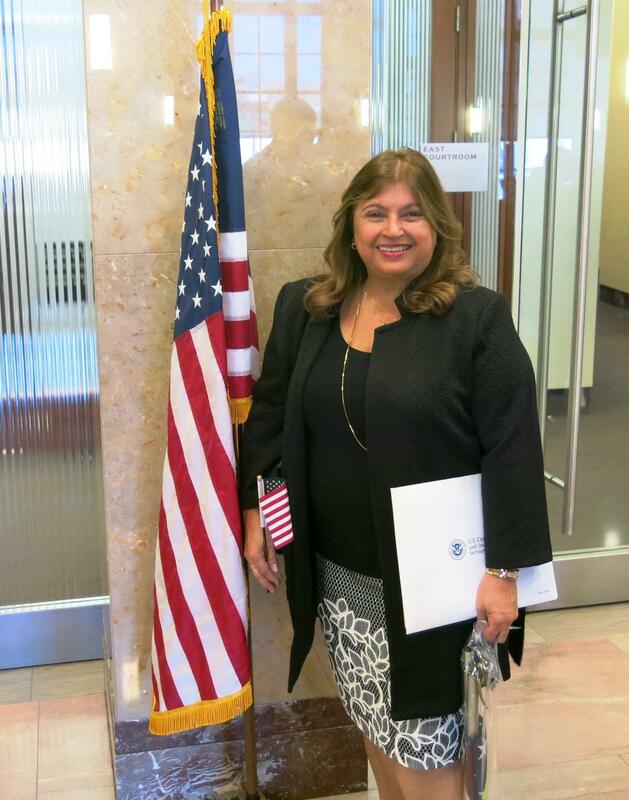 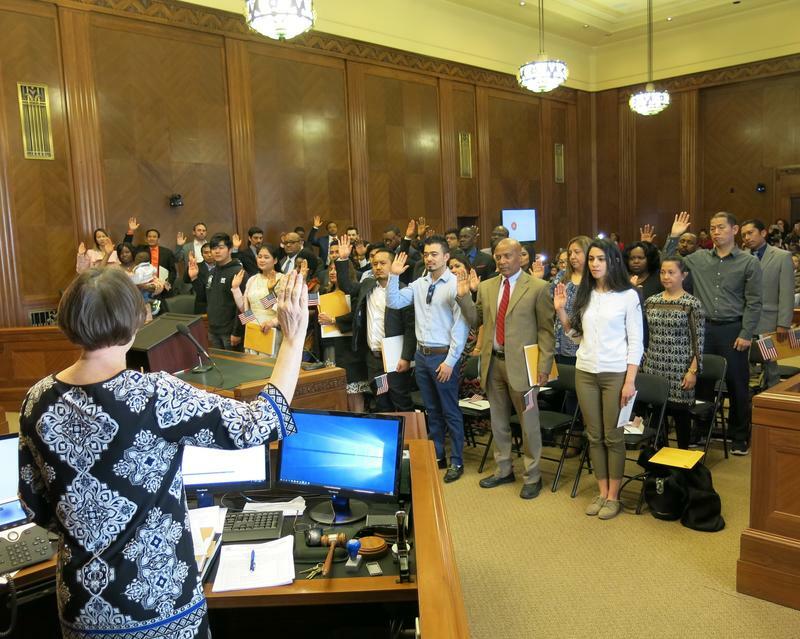 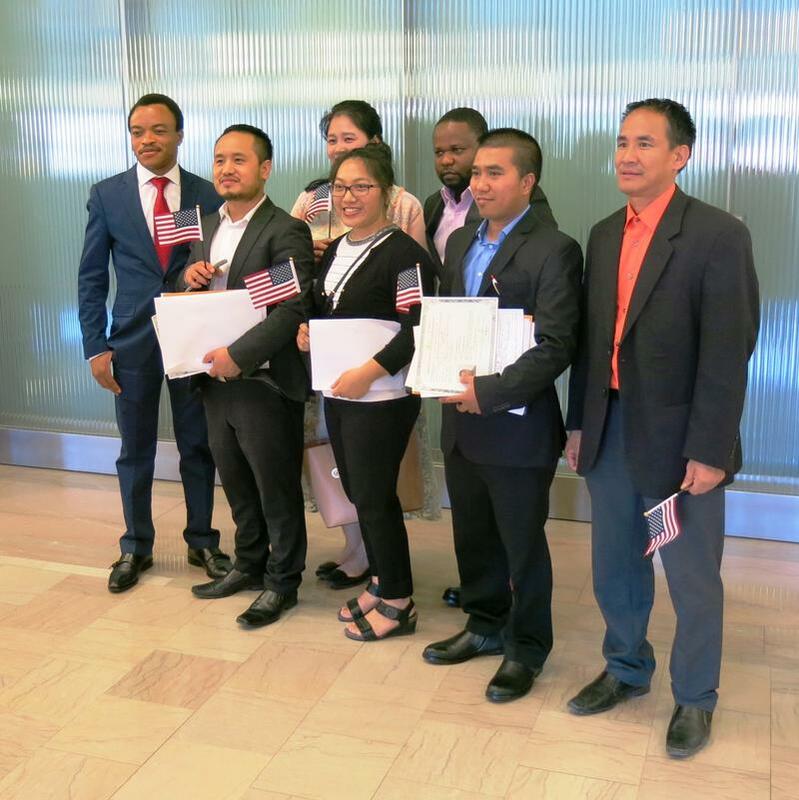 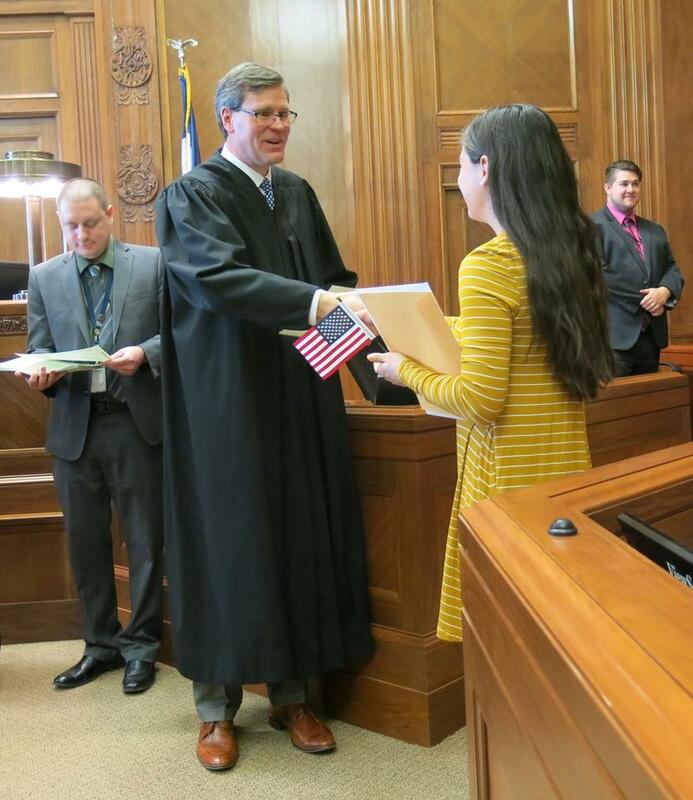 As Herb Trix reports, during the Friday naturalization ceremony in a federal courtroom in Davenport, they took the oath of allegiance, recited the pledge of allegiance, and were welcomed by local officials.